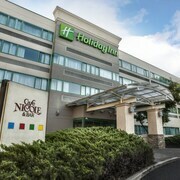 Situated in Princeton, this hotel is 0.8 mi (1.3 km) from University Square Shopping Center and 2.6 mi (4.1 km) from Princeton University. McCarter Theater and Palmer Stadium are also within 3 mi (5 km). 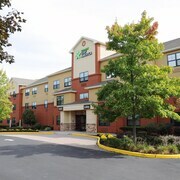 Situated in East Windsor, this hotel is within 12 mi (20 km) of Forsgate Country Club, Princeton University, and Mercer County Park. University Square Shopping Center and Jackson Premium Outlets are also within 12 mi (20 km). 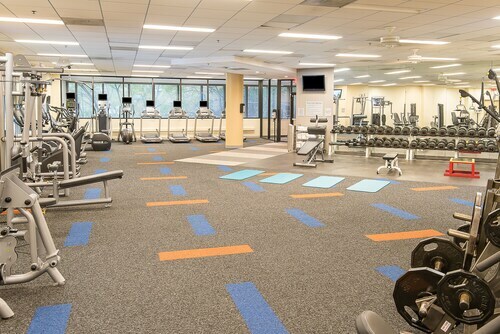 Situated in Princeton, this hotel is 2.9 mi (4.7 km) from Herrontown Woods Arboretum and within 6 mi (10 km) of Princeton University and Palmer Stadium. Princeton University Stadium and University Square Shopping Center are also within 6 mi (10 km). 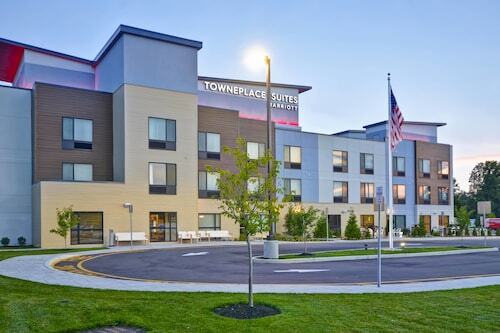 Situated in Princeton, this hotel is 1.2 mi (2 km) from University Square Shopping Center and 2.7 mi (4.4 km) from Princeton University. McCarter Theater and McCarter Theatre are also within 3 mi (5 km). 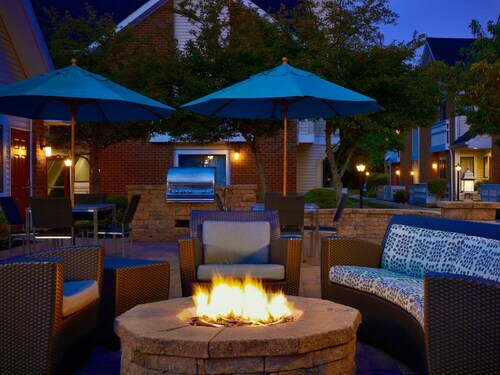 Situated in Princeton, this hotel is 1.9 mi (3 km) from University Square Shopping Center and 3.1 mi (5 km) from Princeton Battlefield State Park. Institute for Advanced Studies and Jasna Polana are also within 6 mi (10 km). 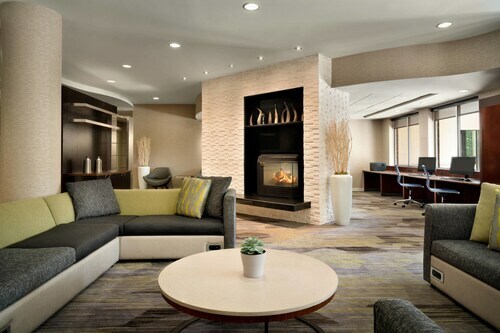 Situated in Monmouth Junction, this hotel is within 6 mi (10 km) of Herrontown Woods Arboretum, Princeton University, and Princeton Public Library. Palmer Stadium and Princeton Cemetery are also within 6 mi (10 km). 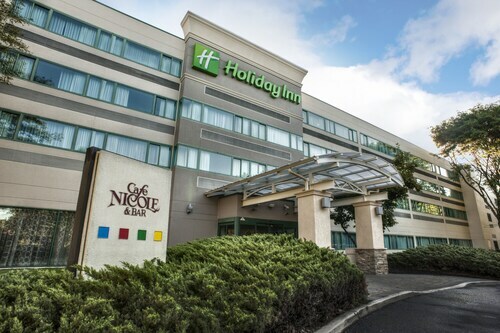 Located in the heart of East Windsor, this hotel is within 9 mi (15 km) of Mercer County Park, University Square Shopping Center, and Sayen Park Botanical Garden (Sayen House and Gardens). Princeton University and Forsgate Country Club are also within 12 mi (20 km). Situated in Princeton, this hotel is within 6 mi (10 km) of Herrontown Woods Arboretum, Princeton University, and Palmer Stadium. Princeton University Stadium and University Square Shopping Center are also within 6 mi (10 km). How Much is a Hotel Room in Princeton? 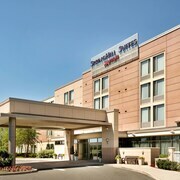 Hotels in Princeton start at $66 per night. Prices and availability subject to change. Additional terms may apply. Princeton may be known for the world-renowned Princeton University, but the city offers a lot more than just a great education. Located in New Jersey and only two hours away from both New York and Philadelphia, it is easy to access by train, road, or by Newark flights. Just remember to combine these with Princeton hotels to suit your individual needs. Travelocity will make your combined booking a breeze, letting you focus on nothing but enjoying your holiday. There are many things to do and learn in Princeton, whether you are a solo traveler or on a family vacation. Besides a visit to the famous Princeton University campus, delve into history at one of the city's old sites and museums. The Albert Einstein House is an exciting outing for the young and old alike, while the Princeton University Art Museum is home to 90,000 pieces of art, ranging from Islamic and European to African and contemporary. Alternatively, head to the McCarter Theatre for breathtaking stage performances in music, dance, and drama by global artists. Princeton has many local restaurants and bars that have been around for decades. 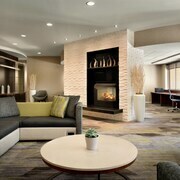 Most cheap hotels in Princeton will also offer great local food. If you're in the mood to discover eateries on foot, just take a walk around the sprawling university campus and you're sure to find a few eateries that serve fresh and hot comfort food—think pizzas, giant subs, and pancakes. Besides this, there are a few fine dining restaurants around the university for those seeking them. 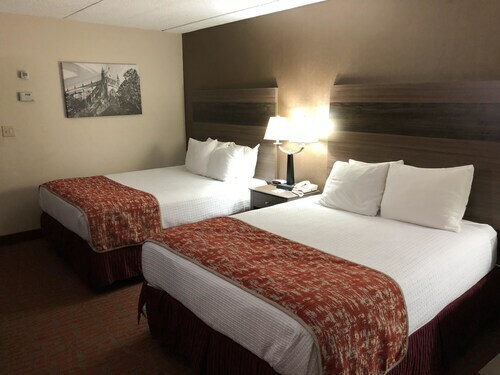 Accommodation is easy to find with the large number of hotels near Princeton, especially when you book using the Travelocity app, which will give you access to mobile exclusive deals. A vacation in Princeton is not only convenient when you use Travelocity, but will be a trip you'll remember forever once you uncover its riches. Need insider tips on must-see attractions in Princeton? Check out our Princeton travel guide! The architecture of this hotel was very cool. We really enjoyed it. I love the location. Very convention to the stores I like to shop in and not too far from my daughter and family who we come to visit. The bedding was top notch and very comfortable. It was not clear during the booking phase that Westin charges a nonrefundable $100 pet fee at check-in. I have never booked a hotel that listed as “pet friendly“ charge this way. It was a big shock when I checked in. When I complained, they lowered the pet fee to $50 and upgraded my room, which I appreciated, but I don’t think their basic pet fee policy is good.